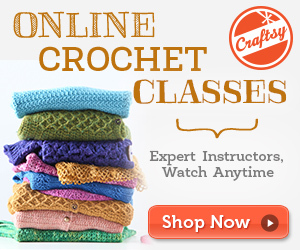 Most everyone who crochets appreciates all of the variation in the yarns and fibres available on the market today. Even in a large department stores, you can discover many different kinds of yarns to work with. As you move to craft stores and yarn shops your yarn selection options go through the roof. At these specialty shops you can find yarns made of some of the most exotic fibres such as alpaca and cashmere. For someone who crochets, browsing through all the options in a store which carries yarn can take hours and is a very enjoyable pastime in itself. Yarn selection for your crochet projects is a much more complicated process than simply selecting a color which appeals to you. While yarn colour clearly matters, the most important thing about the yarn you select is that it matches your project and that it is the highest quality available in your price range. The product you end up with is a direct result of the yarn you choose; if you choose quality you will have a quality end product, if you choose a lesser yarn it will show in the quality of your finished work. If your crochet pattern calls for a very lightweight smaller yarn and you use a larger chunky yarn, then you can count on your end project being a very different size than the pattern states. While this is easy to adjust for in the case of scarves and blankets, it is not as easy when you are making things like socks, hats, and sweaters. It is important to keep this in mind when you are selecting yarn for your crochet projects. Some of the highest quality yarns available are made from natural fibres from animals and plants. These yarns are: cottons, alpaca, mohair, cashmere, and wools. Each yarn has a different feel and thickness that should be considered when you are deciding how you want your finished project to turn out. A small yarn will yield a smaller finished project and vice versa. Another consideration when you are choosing a yarn is how it can be cleaned. If you are crocheting a baby blanket or baby garment, then you will want to insure that it can be machine washed and possibly dried. Dry cleaning just won’t do in the case of items for babies; they need to be able to be machine washed. When you are looking at yarn for a particular pattern, make sure that you understand the fibre content and structure as well as the gauge of the suggested yarn. If you are going to substitute another yarn it is important to match the fibre content, structure and the gauge of the new yarn to the one suggested in the pattern. If you do not do this, then your end project will not come out as you expected. While no one particularly loves crocheting a swatch to check for gauge, it is vital when you are looking at substituting a different yarn for a pattern. This quick check will show you if your gauge is correct for the pattern or if you will need to switch hooks or adjust your yarn tension in one way or another. As you can see, yarn and fibre selection is very important for all who crochet to consider. If you choose the wrong yarn for your project it will be blatantly obvious in your finished project. However, if you choose the correct yarn, your project will be as fabulous as you set out to make it. By always using a high quality yarn you can assure that you end up with high quality finished projects.